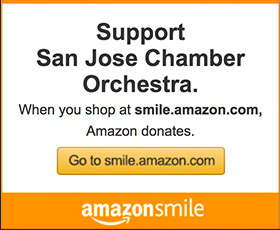 SJCO EVERYWHERE is making music available to the public easily and in unexpected places!!! 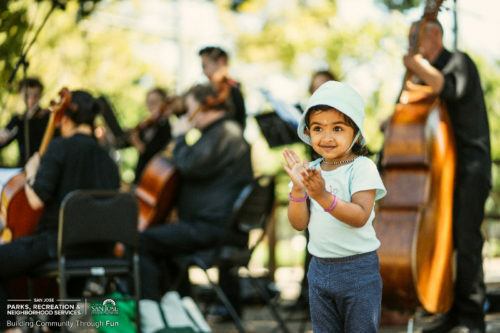 Musicians of the San José Chamber Orchestra perform, primarily free to the public, at community centers, libraries, bars, retail outlets, churches, shelters, hospitals, gathering places, Noon Arts and Lectures, South First Fridays, museums, city council meetings, sports events, etc. — anywhere there are people! 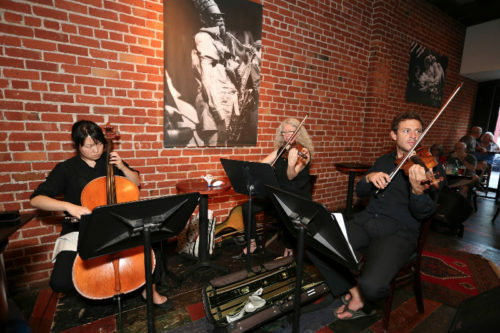 A number of these performances will grow from a pilot program tested a few years ago (Planet String) that created works for a Western string quartet with a non-Western string instrument such as the Chinese erhu, the Indian sitar and the Japanese koto. We are working to develop and present large scale participatory musical events such as a Community String Fling and So You Think You Are a Composer, and institute a Valley Voices Reading session performing works of Silicon Valley residents selected by a blind, competitive selection process. In addition we will expand and deepen our significant multi-year collaborations with The Choral Project and sjDANCEco and continue to pursue developing a collaboration with community (non-professional) orchestras that is currently in the discernment stage.